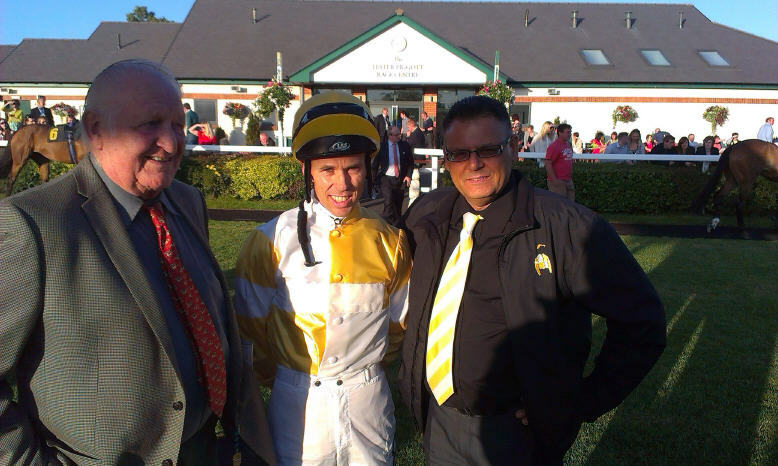 Penalty Scorer went to Yarmouth on Tuesday and ran in the seven furlong selling nursery and Duilio Da Silva took the ride and took off five pounds. From the stalls Penalty Scorer was hampered and dropped to the rear of the field. She was wearing a first time eye shield and this rather lit her up and Duilio was fighting to get her to settle as the rest of the field made their way up the home straight. Duilio eventually got the horse settled and at the three furlong from home marker Penalty Scorer began to make progress through the field and moved into third place. As the field entered the final furlong Penalty Scorer had moved into a challenging position as the favourite kicked for home. Penalty Scorer tried to go with the favourite but her early exertions took its toll and she could only stay on at the one pace finishing in second place. An improved effort and on that showing there is a definite race to be won with her. 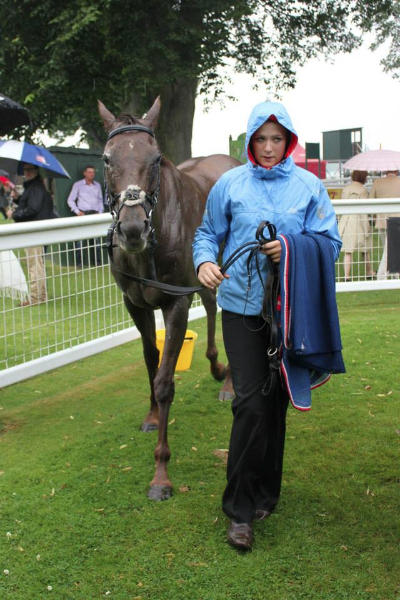 Dodina went to Catterick on Wednesday afternoon and ran in the six furlong seller and Megan Carberry took the ride taking off seven pounds, unfortunately the draw hadn’t been kind and they were drawn out in stall 10. From the off Dodina broke alertly and they contested the strong early pace with a horse drawn nearer the rails. Dodina and the other horse were setting a scorching pace and by the time they turned into the home straight many of their rivals were struggling behind them. At the two furlong from home marker Dodina was getting the wrong end of the dual and the other horse kicked on, Dodina kept up and was still second inside the final furlong but she got very tired and was overtaken by several horses as Megan accepted the situation. 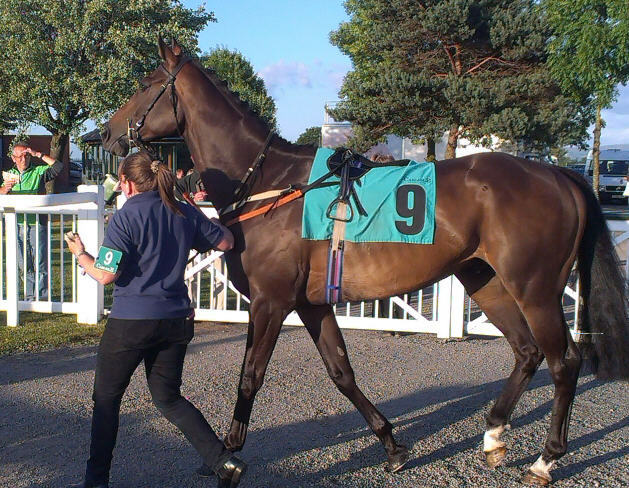 A disappointing effort even from her high draw and a return to five furlongs is likely for her next time. 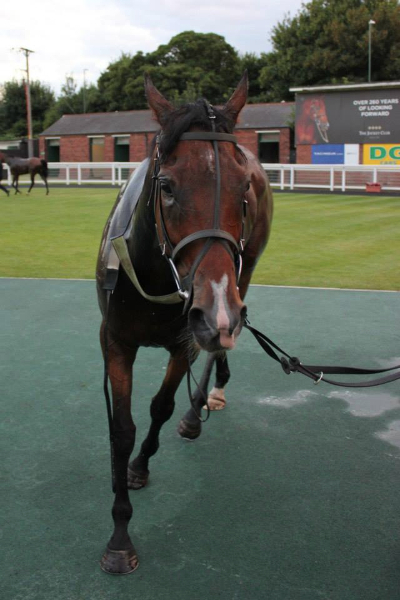 Toolcoolforschool made his debut on Friday in the six furlong maiden and Ben Curtis rode. Slightly slowly away the horse was very green for the first half a furlong before he got the horse settled and back onto the bridle and they started racing properly. Ben had the horse on the outside of the field. Without any cover the horse was very professional and was striding out nicely and moved up through the field and moved into fourth place. As the field hit the two furlongs from home marker the front three horses quickened and Toocoolforschool due to his inexperience was caught flat footed but he put his head down and began his challenge. The front two horses had got first run and they fought out the finish, whilst in behind Toocoolforschool was really motoring and swept past this horse with Ben only giving the horse a tap with his whip. At the line Toocoolforschool finished third closing on the leaders all the time both of which had a previous run under their belts. A promising introduction and Karl’s horses always come on for the run. He wouldn’t want firm ground. 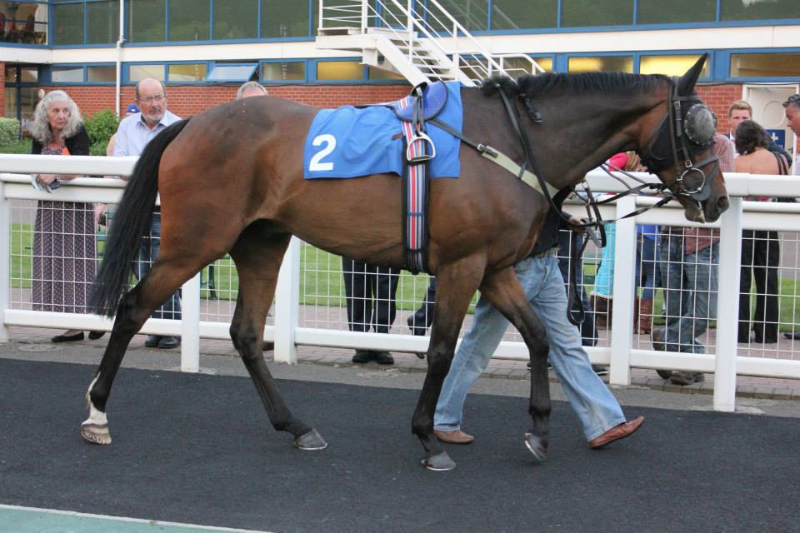 Fast Shot was due to run atHamiltonon Friday night where Rachel Richardson was due to ride. All the forecasts were that the course would get some rain during the day. Unfortunately no rain hit the course and with the times of the first few races going under standard the ground was very fast. 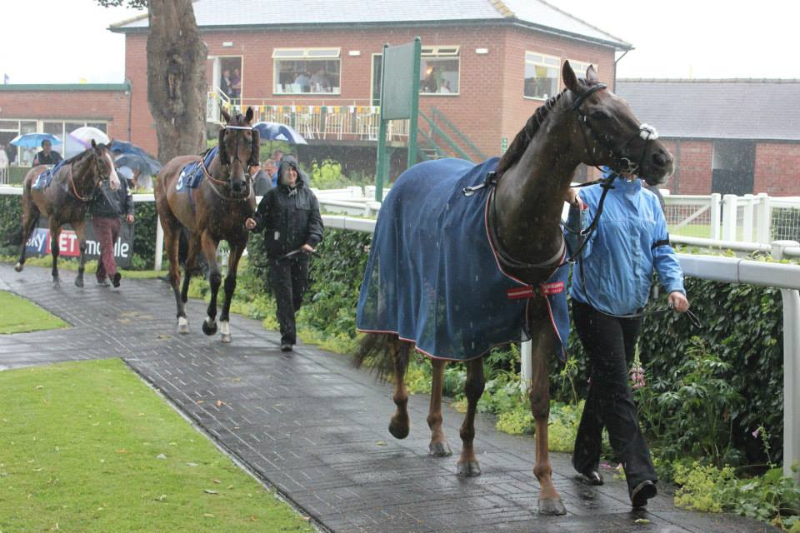 Tim made the decision to withdraw the horses and hopefully he will now run at York next Saturday, again ground permitting. 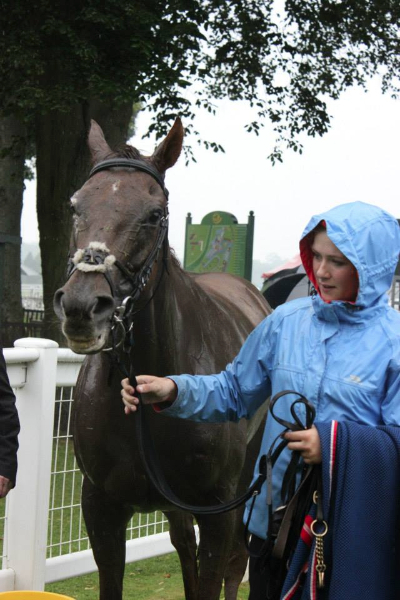 Fazza went to Ripon on Saturday and ran in the one mile handicap and Kevin Stott rode taking five pounds off. Just after the first rain the heavens opened and the rain was heavy and non stop for the hour before Fazza’s race making the ground soft by the time his race was run. From the stalls the pace was strong and having been drawn out wide Kevin allowed Fazza to bowl along at the rear of the eight strong field as the rain poured down. 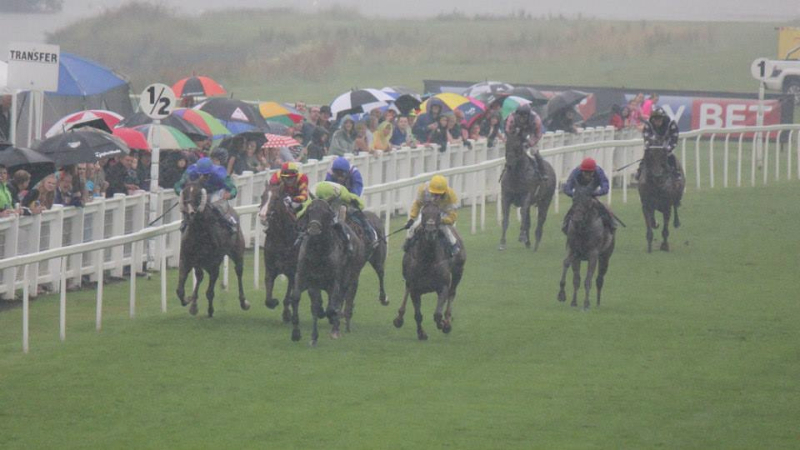 As the field made their way up the straight between the four and three pole Kevin edged the horse out from the rail to the outside of the field and here Fazza and the favourite began to make progress towards to he leader. Fazza and the favourite were travelling nicely and as the field hit the furlong from home marker Fazza and the favourite set down for a battle to the line. Fazza game as ever was trying his hardest but inside the final furlong the favourite went a good length and a half ahead. Howe haver Fazza never lies down and rallied, towards the line he was closing with every stride. At the line Fazza was joined by another fast finishing horse and unfortunately was beaten in a photo finish for second place. Fazza was beaten half a length and a nose. 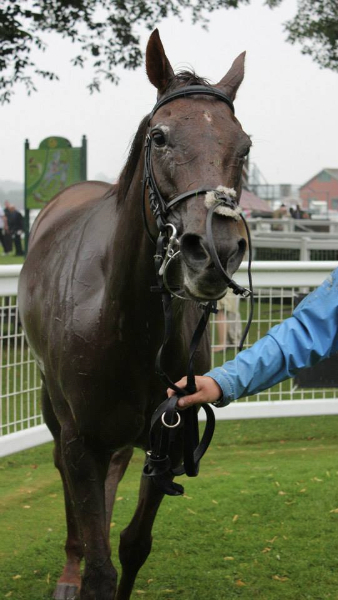 Another tremendous effort from this tough horse. 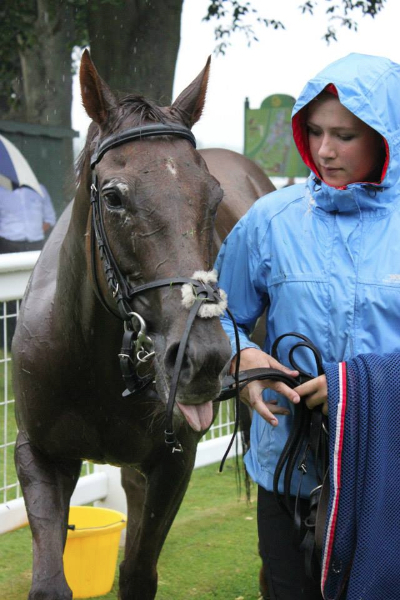 Piceno was due to run at Newmarket’s July Course on Saturday where Matthew Hopkins was going to ride but again because of none of the forecast rain arriving and the ground being very firm he was withdrawn, there are plenty of races coming up for him. Millar Rose was due to run at Haydock on Saturday in the five furlong nursery where Ben Curtis was going to ride and could you believe that she was withdrawn as the rain had arrived and made the ground soft when she wanted fast ground, a very frustrating couple of days due to the unpredictability of the British weather. 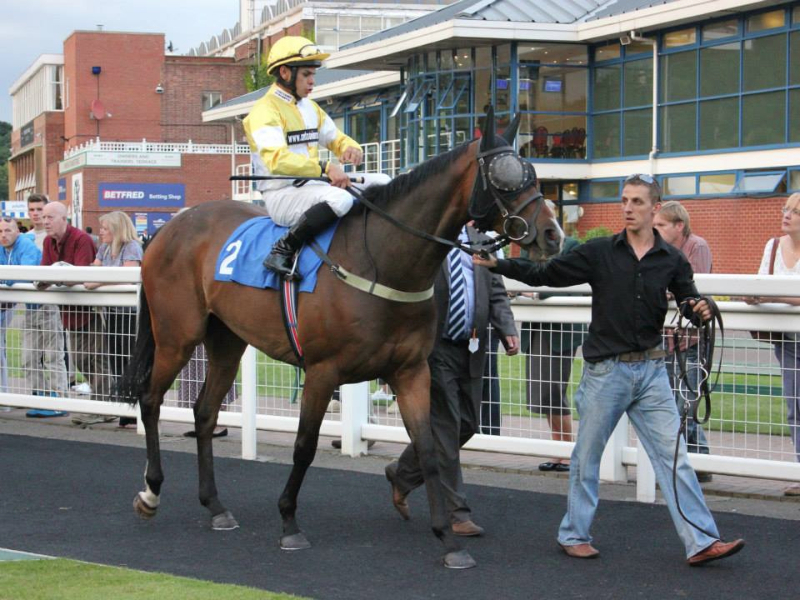 Nelsons Bay ran at Redcar on Sunday in the one mile one furlong handicap and Graham Lee rode. From the stalls the plan was to get a handy position howe haver being drawn out wide it wasn’t going to be an easy task. Graham got a good break and made forward progress but as the field turned out of the back straight he was in midfield stuck on the wide outside of the field. The horse was pushed slightly wide rounding the turn and as the field straightened for home Nelson’s Bay had a good position on the outside of the field. The sprint for home begun early and around two and a half furlongs out Graham got serious with the horse to keep their position and try and move closer to the leaders. Howe haver there was only a limited response and Nelson’s Bay was soon dropping back towards the rear of the field and at the furlong from home pole Graham took things easy and allowed the horse to finish in his own time. 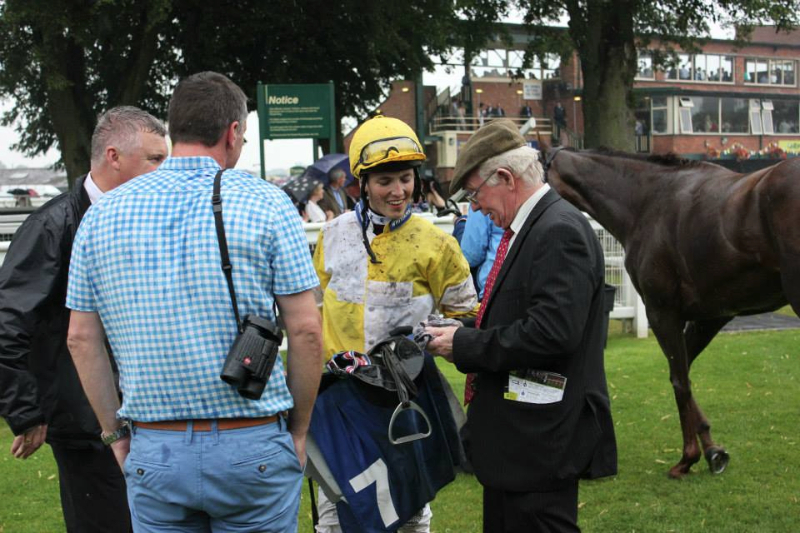 Ticking Katie landed the apprentice race at York on Friday to top a remarkable day and week for Ontoawinner. 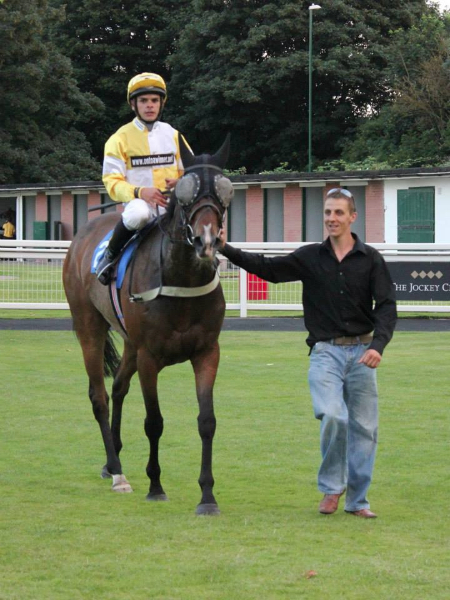 The same Owner connections had landed a maiden success for Millar Rose just 48 hours earlier at Catterick. Katie hadn’t been herself in the early part of the season but showed signs of being back to her talented self at Sandown on her penultimate start. 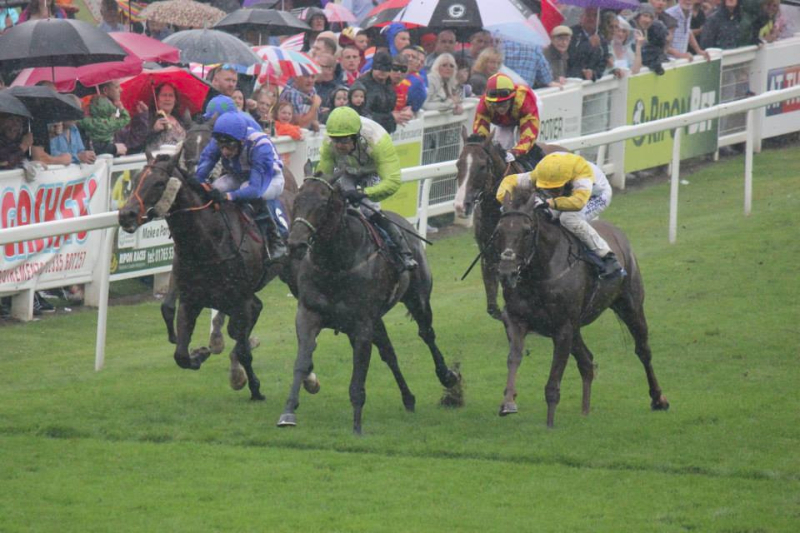 Arriving at York in tip top order she was well supported in the market by her followers and duly battled all the way to the line to give Ontoawinner a first York winner. Millar Rose got off the mark at the fourth time of asking, having had good reasons for a couple of below par efforts on her way to getting off the mark. Given a good positive ride she also got up late on to stamp her authority on her race. 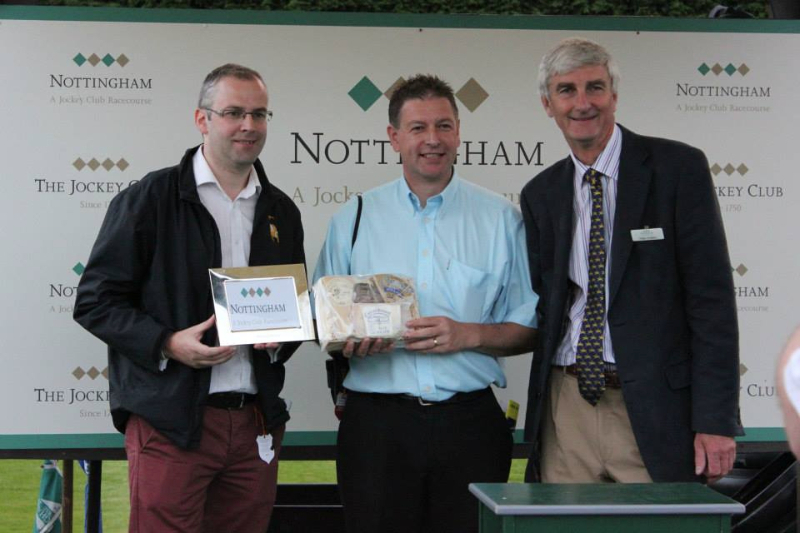 Well done to Mark, Carl and Jamie’s gang for a brace of winners in the week. 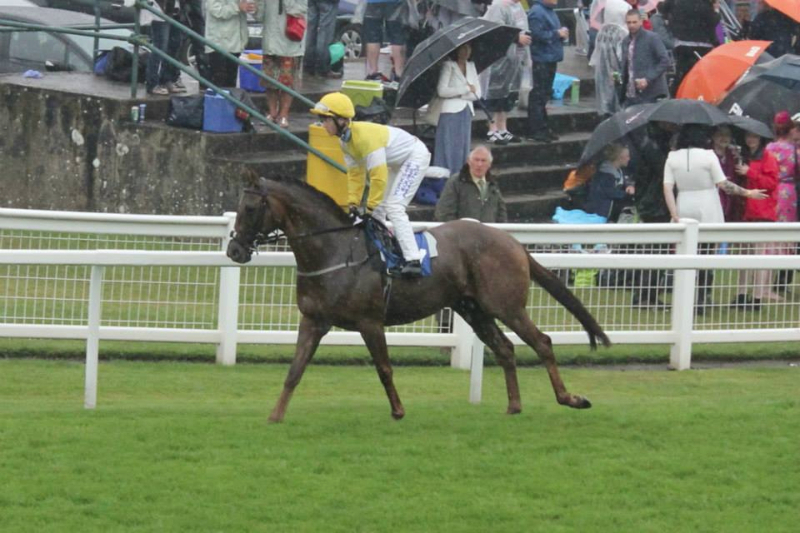 With several nice horses due to come out soon and the tough Piceno, Fazza and Abi Scarlet due out soon Ontoawinner will inevitably build on the 16 winners already amassed at the half way point in the season. Penalty Scorer ran at Warwick in the five furlong nursery which looked a competitive race on paper and Noel Garbutt rode taking 5lbs off. From the stalls Penalty Scorer missed the break and was behind the rest of the runners. Howe haver the first time visor lit the horse up and she was soon pulling very hard and Noel was having trouble restraining her. 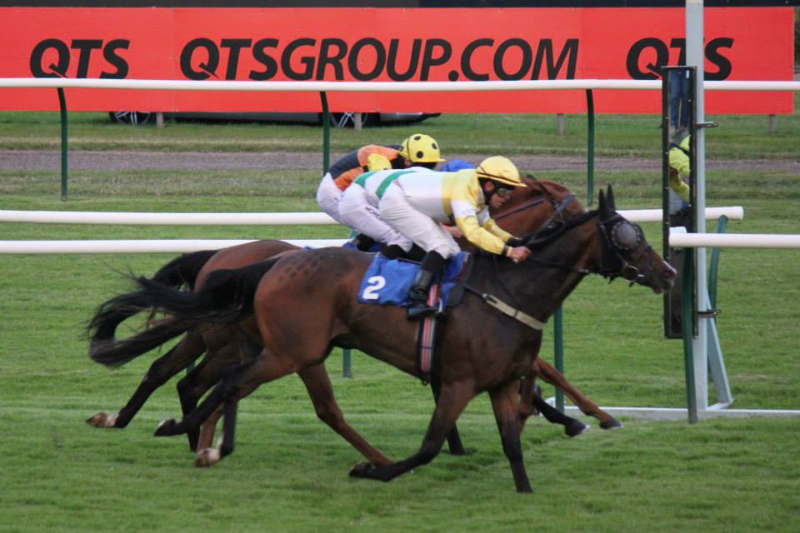 The horse was pulling for her head and literally pulled Noel forward and as the field turned into the home straight with two furlongs to run Penalty Scorer had pulled herself up into third place. As the field straightened for home and the dash for the winning line began, Penalty Scorer understandably got tired and began to weaken back through the field. At the furlong pole Noel eased right down and allowed the horse to finish in her own time. 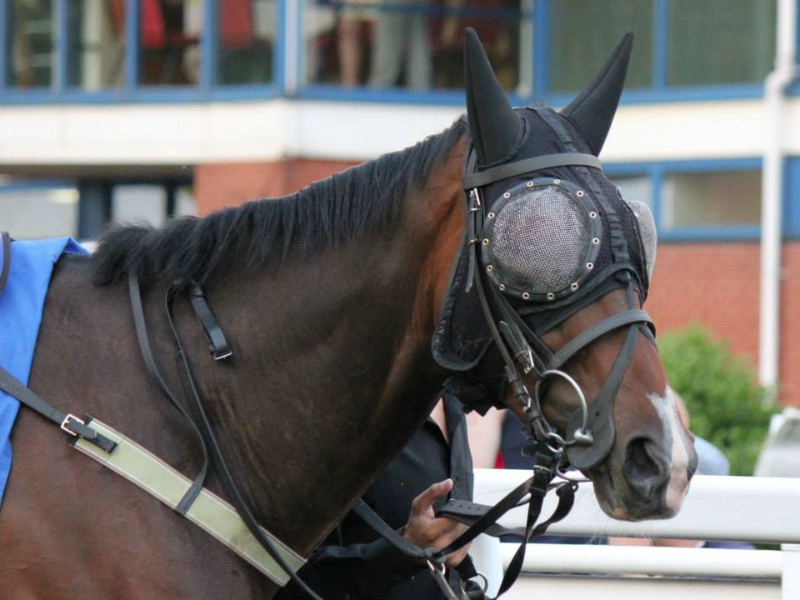 The horse pulled miles too hard in the first time visor to do herself justice; there will be other days for her. 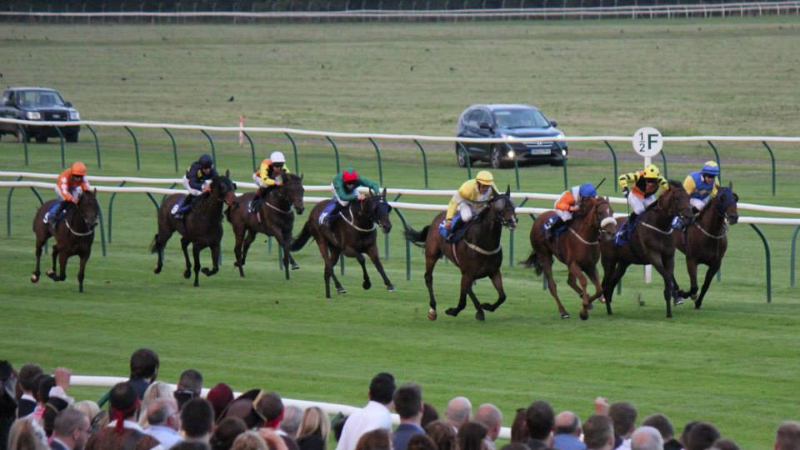 Nelsons Bay ran at Carlisle on Saturday night in the one mile one ½ furlong handicap and Graham Lee took the ride. From the off the pace was very strong and Graham tucked the horse in fourth place as two horse set a strong gallop and raced ahead from the rest of the field. As the race progressedNelsonsBayand the other horses closed in the leaders and rounding the turned into the home straight the field had grouped together. Graham angled the horse out to get a run as the entire field looked to have some kind of chance. 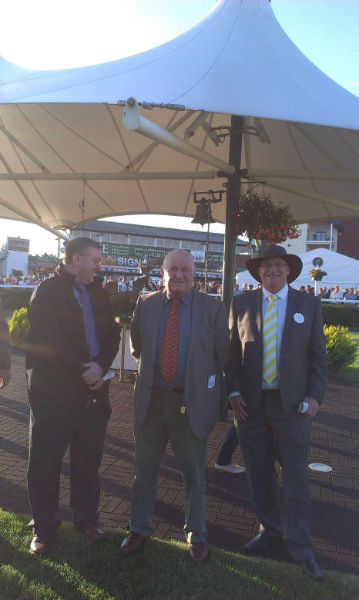 Graham asked the horse to get closer but there was little response and the eventually winner and placed horse’s quickened away and inside the final furlong Nelsons Bay got tired and faded back through the field. 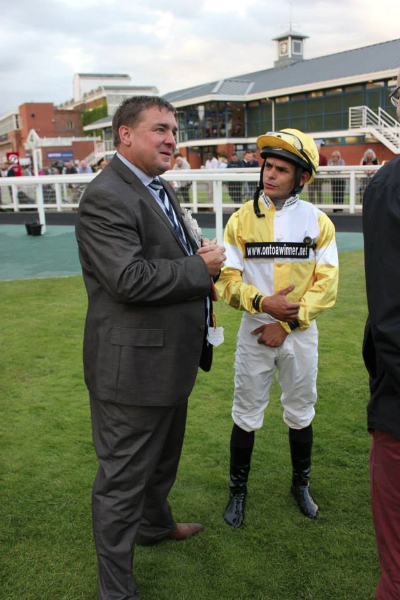 Ted’s Brother ran at Nottingham 20 minutes later and ran in the one mile & ½ furlong handicap and Duilio Da Silva took the ride and took 5lb off. From the stalls Ted’s Brother was settled tat the rear of the field as several horse looked to set a good gallop. 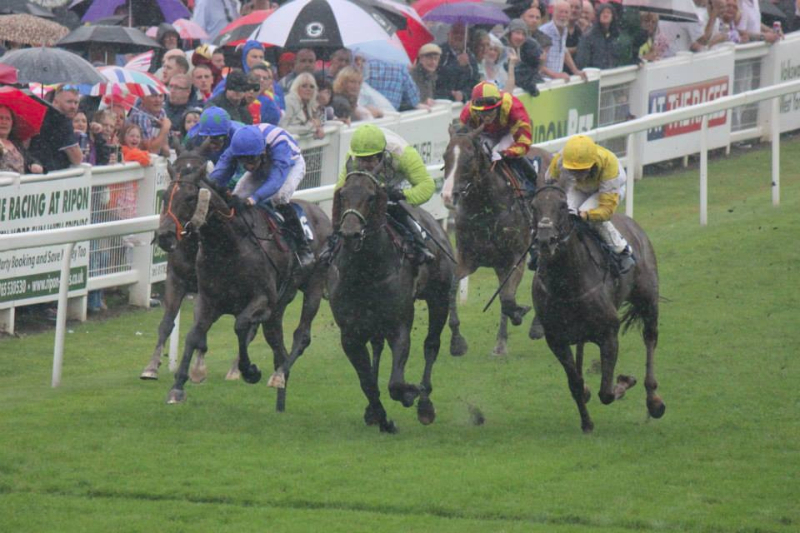 Duilio had the horse settled with only one horse behind them as the field were well strung out. As the field turned into the home straight Ted’s Brother was still travelling on the bridle and as the field hit the three furlongs from home marker Duilio moved Ted’s Brother to the wide outside of the field to get a clear run at the leaders. The early leaders began to fade as Ted’s Brother was making eye catching progress and was getting ever closer to the leaders. Inside the final furlong Ted’s Brother was coming home strongest of all and in the shadows of the post he joined two horses on his inside. It was nip and tuck but in the final stride Ted’s Brother stuck his neck out and just got up on the line to win by a neck. A really game effort and a fantastic win for all connections. 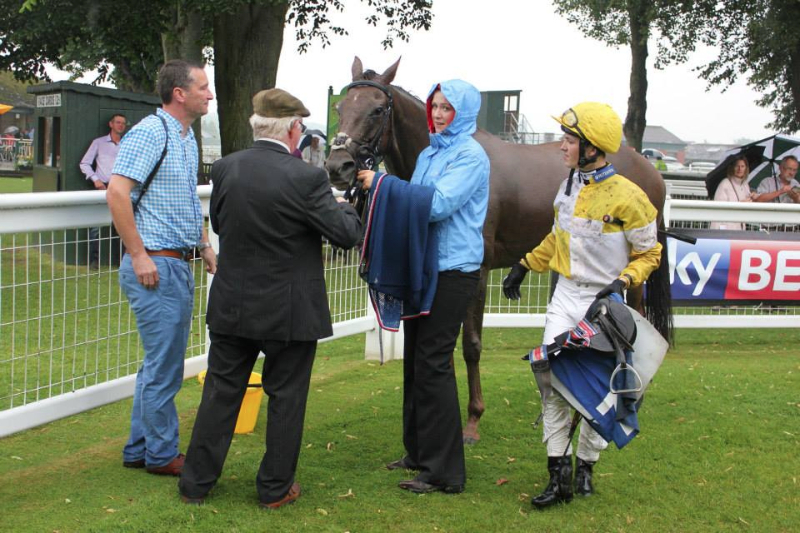 Dodina ran at Carlisle in the five furlong 0-85 handicap sprint and Tom Eaves took the ride and they were drawn in stall four and Dodina sported the blinkers for the first time. As she left the stalls she was bumped by the horse on her outside and Tom took her back as the early leader set a scorching pace. Tom tucked Dodina against the rail towards the rear of the field. 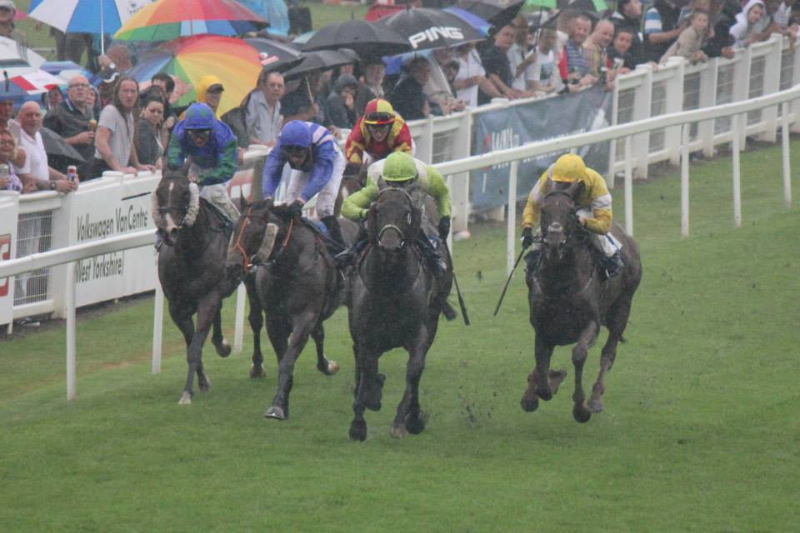 As the field took the slight right turn and turned into the home straight Dodina looked to be going nicely. As the field spread out across the track Tom moved Dodina into a challenging position and they began to make some headway. At this point the strangest thing happened, the jockey on Tom’s outside was hard at work on his mount and as he tried to bring his whip down it caught in Dodina’s reins. Tom was trying to pull Dodina away and the other jockey was pulling the other way to try and release his whip. 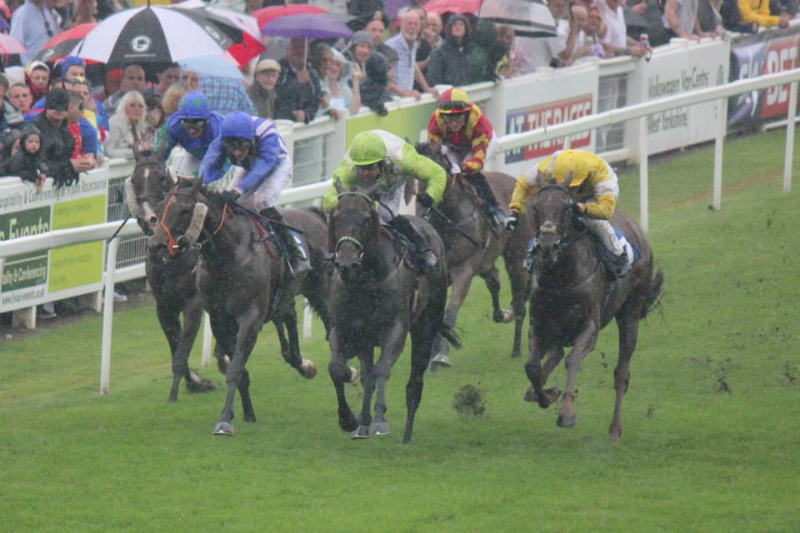 Dodina’s momentum was stopped as the tussle between the two jockeys kept going for a good 50 yards. Eventually Tom won the battle and Dodina was free again but her chance had gone, Tom moved her away from the rival towards the rail and she kept on at the one pace to finish 6th. 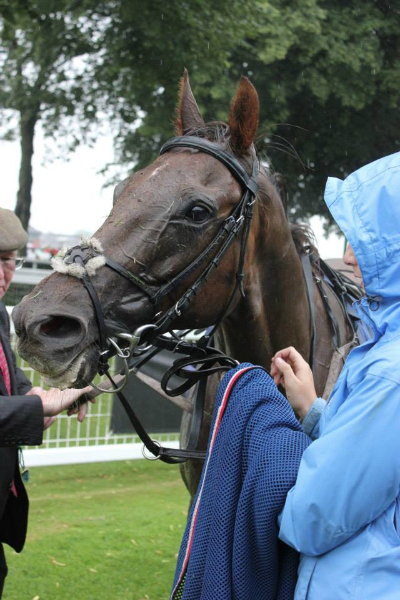 A most unfortunate incident that took away any chance the horse had of reaching the three places, on the plus side she seemed to act in the blinkers and they will provide a useful asset in the races to come. 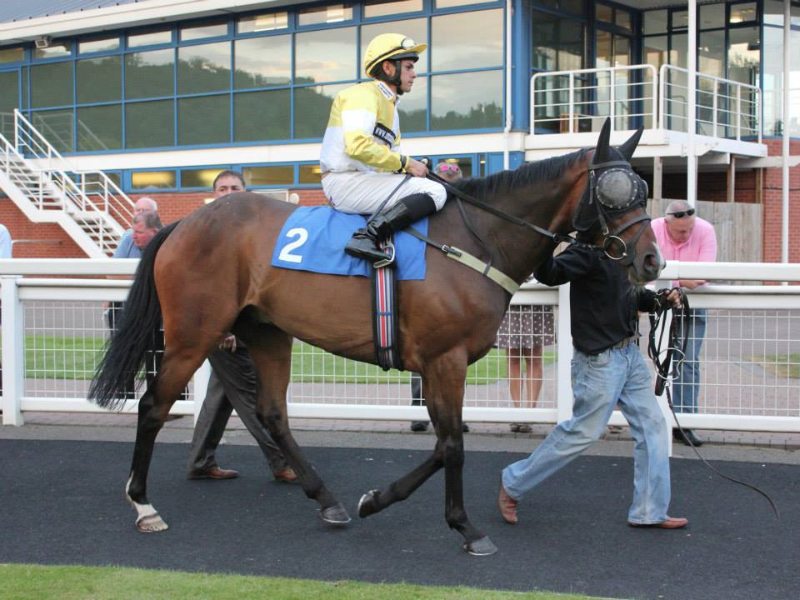 Fazza also ran at Carlisle in the Carlisle Bell consolation race and Kevin Stott rode and took off 5 lbs. Unfortunately the draw had not been kind and they were drawn out in stall 16. 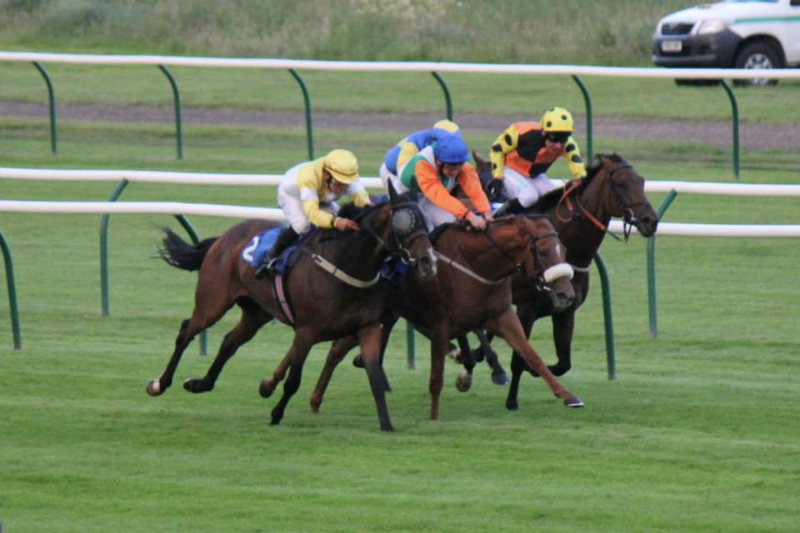 From the stalls Fazza juts missed the break and as the field charged towards the first turn the pace was a strong one in this fiercely competitive handicap and Fazza was towards the rear of the field. Fazza and Kevin had to sit and wait at the rear of the field but they appeared to be travelling nicely and as the field turned into the home straight with just over tow furlongs to run, the field spread right across the course as lots of jockeys looked to get a clear run. Fazza was forced virtually widest of all and he soon began to move forwards towards the leaders who were now bunching up. Up the hill Fazza continued to make progress but in the last 100 yards this extra effort and travelling the extra distance more than most runners took its toll and he couldn’t find that extra gear and had to settle for a midfield finish. 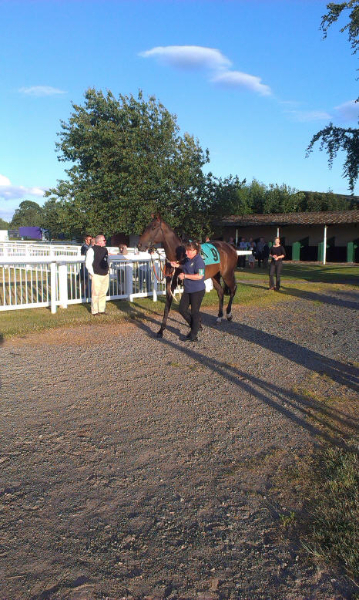 Beaten only 6 lengths it was another good effort in difficult circumstances. Frontline Phantom went to Newcastle for the one mile two furlong handicap and Joey Haynes rode taking 3 lbs off. From the stalls Joey jumped Frontline out quickly and they were shuffled back through the pack as the runners settled themselves. The pace did not seem that strong as many of the jockeys were having trouble settling their horses. As the field began to take the turn out of the back straight Joey had to push the horse along as he wasn’t travelling that well. The field were well grouped up turning into the home straight and as the field begun the sprint for home Frontline was caught flat footed, Joey had to get to work at the horse. Two horses swept to the front and as Joey tried to manoeuvre Frontline into a challenging position they were blocked off by two horses in front of them. Joey had to pull and move Frontline around these horses, by this time his chance had gone and once in the clear he stayed on at the one pace finishing 6th. Unsaddling Joey said the ground was very quick and Frontline just didn’t give him the same feel as he did at Nottingham last week, whether it was because of the ground or the hose was just feeling the effects of three quick runs. 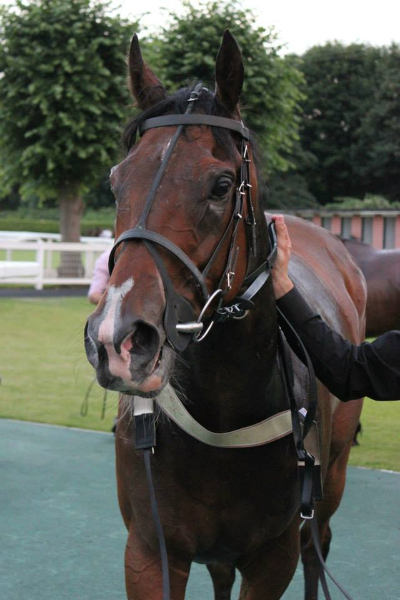 Sunrise Dance ran in the six furlong 0-70 handicap and Andrew Mullen took the ride. They were drawn in stall one on the far side of the course, and in all then races that had occurred over the previous two days racing down the centre of the course was the place to be. Breaking well from the stalls Sunrise Dance was quickly into her stride but the horse drawn next to her forced her to stay on the far side away from the main field that all raced up the centre of the course. Sunrise Dance and the other horse were well up with the pace for the first few furlongs but as the race entered its closing stages it was clear that Sunrise and the other horse whom she had gone past had no chance and were some way behind the main field. Andrew saw this and allowed Sunrise Dance to come home in her own time without being hard on her. Unsaddling Andrew said that he had no chance from the draw and couldn’t get across even to be competitive as the other horse kept him too far across. 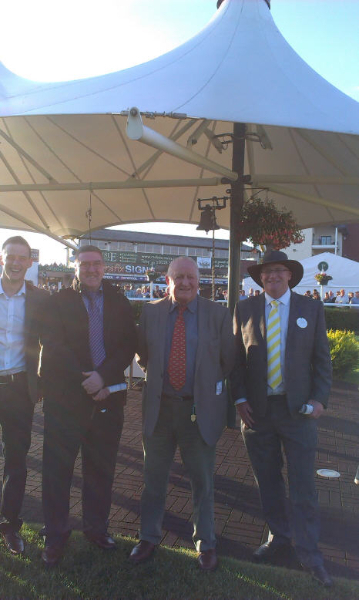 A disappointing effort but the horse can be forgiven this as the draw was a massive hindrance. 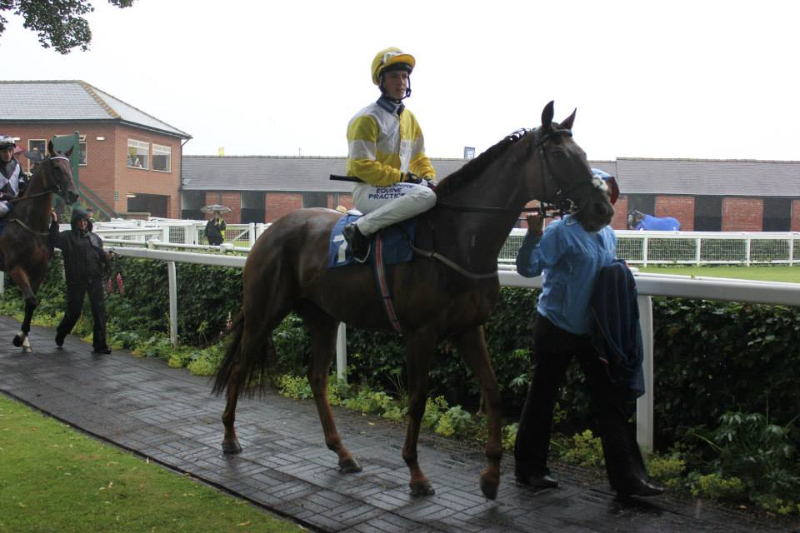 Piceno was due to run at Chester on Friday but due to the dry ground and the horse feeling a little sore he didn’t run, it was disappointing as by race time the ground had soften up, but it wasn’t worth risking the horse when not 100%, there will be plenty of other days for him.